.....AND WITH AN INTERNATIONAL TWIST. That's the rain on now, so summer must be just around the corner! Having completed around 200 boat launches this year, and with a brief respite before they all want lifted back out again, we thought this would be a good time to pass on some of our news about what has been happening in the workshop so far this year. 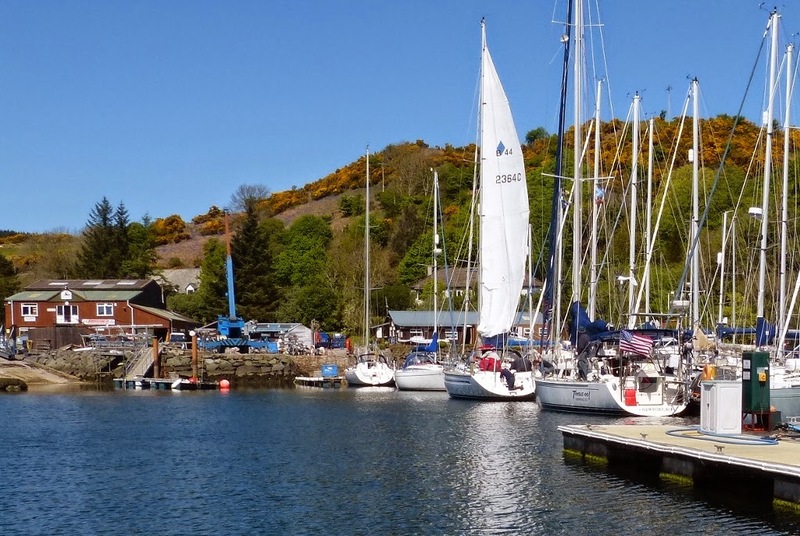 The spring of 2014 has been busier than normal at Ardfern Yacht Centre. Just about all the 130+ boats we've had wintered ashore in our yard have now been recommissioned, antifouled, upgrades and renovations completed and chucked back in the water (when I say chucked, I mean carefully placed back on the water by the gentle caress of our 40T Sublift), most of the bigger boats that have wintered afloat have also had a brief visit to dry land for some maintenance and, unfortunately for the owners, we have also had a few boats in our sheds for repair work after some unintended visits to dry land! 1. The Finnish Sail Training Swan 65' Vahine called in for a quick crew change and repairs to her Harken furling gear. 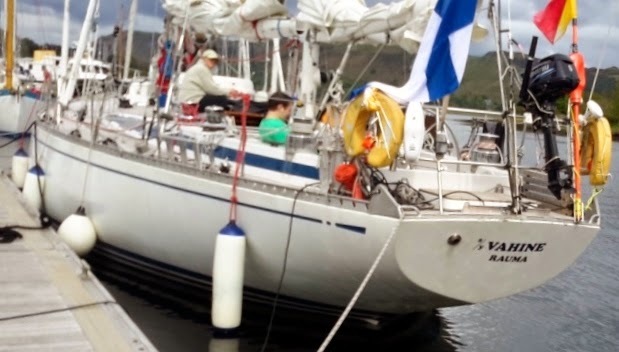 Vahine had left Finland during the late summer of 2013 and headed over to the Caribbean for a winter cruising in warmer climes, with an ever changing crew of young Finnish sailors aboard. Prior to leaving the Caribbean the Harken furling gear suffered a bearing failure leaving the system completely inoperable. Due to their busy schedule, and the need to have Vahine back in Scandinavia for her summer commitments, the boat couldn't stay in the Caribbean to await repairs. So began an exercise for the crew to find a port that had rigging expertise and high-reach facilities to repair the furling gear in tandem with the Harken technical experts despatching the necessary parts to meet up with the boat. After failing to make the repairs in the Caribbean, Azores or Ireland, a call from the skipper to Ardfern Yacht Centre had us organising our rigging crew, clearing a berth, and arranging delivery of the parts from Harken. When Vahine turned up, we had the furling gear system stripped, cleaned, re-assembled and back in operation ready for the boat to depart Ardfern the following morning. To quote the skipper 'It all came together perfectly at Ardfern'. Actually, that's just a soundbite, the full Finnish/Scottish translated comment from the skipper was that it was fantastic how it all came together perfectly at Ardfern, he was so impressed by our rigging team, and he was especially pleased at how quickly we had fixed the problem because it meant he could now go to the pub! 2. From the other side of the Atlantic we have the American yacht 'Toodle-oo' now ashore following a light grounding while enjoying the delights of the 'Whisky Isle'. Having lost steerage following the incident, passage was made to Ardfern under tow. Now safely ashore and with the damaged rudder removed, ourselves and the skipper are now awaiting delivery of a complete new unit arriving all the way from China! The technical aspects of this job aren't complex, but we have had to have the patience of a whole busload of saints when dealing with the Customs & Excise Helpline and trying to track down the correct forms and codes to use! 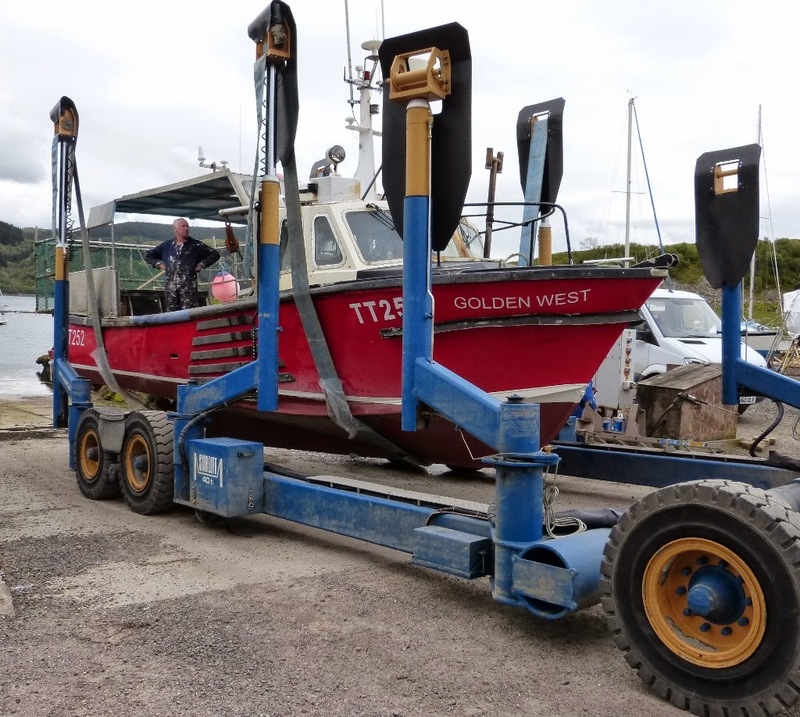 Our yard facilities have also seen regular use over the winter months by other local marine businesses - Crinan based fishing boat 'Golden West' was re-launched recently after having a new engine fitted. We will keep you up to date with stories of interest and news from the yard over the summer season, and we look forward to seeing you all in Ardfern during this coming summer, wherever you home port is.